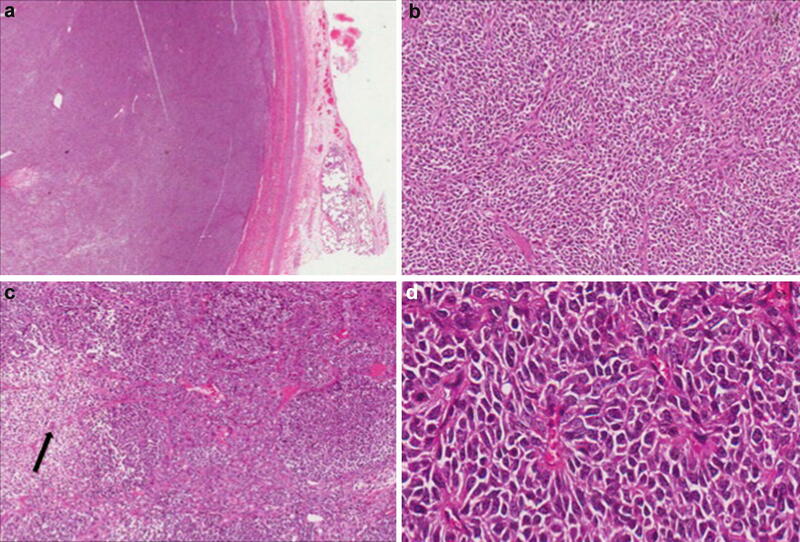 Primitive neuroectodermal tumors (PNETs) of the thoracopulmonary region carry the specific name of Askin tumor. They are a group of highly aggressive malignant tumors involving the bones and soft tissue and are characterized by the presence of undifferentiated small round blue cells of neuroectodermal origin (Figs. 1 and 2).